If you couldn’t tell, this family loves pizza and “pizza-ish” recipes! This is a simple and satisfying meal and makes for easy school lunches 🙂 Thanks for reading, enjoy! Preheat oven to 400 degrees. Line large rimmed cookie sheet with parchment paper or spray lightly with non-stick cooking spray. 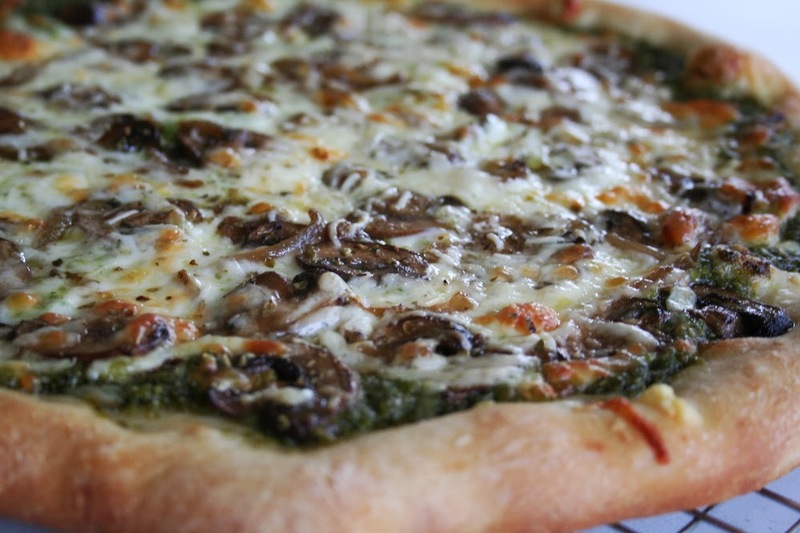 Spread pizza dough out on baking sheet to be approximately 10×16. 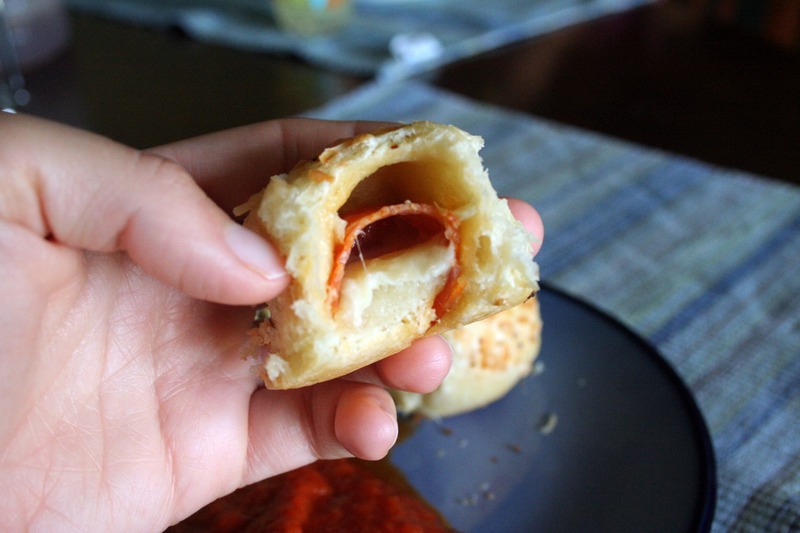 Spread pizza sauce over 2/3′s of the dough lengthwise, leaving a 3×16 rectangle of plain dough along one of the edges. Top sauce with half the grated cheese, pepperoni and ham. Roll up like a jelly roll lengthwise starting along the long edge of dough topped with all the fillings and ending with the plain strip of dough on the bottom of the roll. Repeat for the second dough ball. 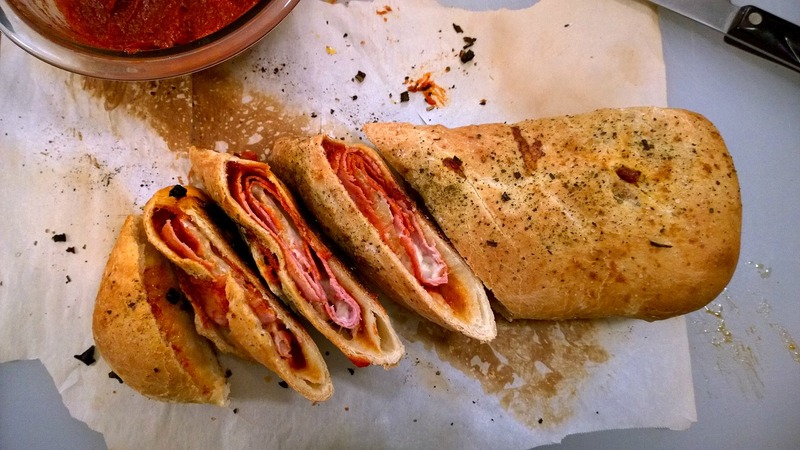 Brush the entire Stromboli with oil and sprinkle the top with seasoning if desired, and gently cut slats in the top of the dough every 1-2 inches. Bake 20-25 minutes or until bubbly and golden. Remove from oven, cool 5 minutes and slice into pieces. Serve with more pizza sauce. I agree! Especially with lots of sauce for dipping 🙂 Thanks for stopping by! Yous looks like it came out great! Mmm this here is incredible! Looks soo good!! That looks nice. I have about 22 pounds of pepperoni in my freezer and I’m always up for ideas. Wow, that’s a lot of pepperoni – I hope some of it finds its way in stromboli 🙂 Thanks for stopping by! I like to have it on hand because I don’t want to be known as the guy that was all out of pepperoni. Believe me, there is stromboli in my future.